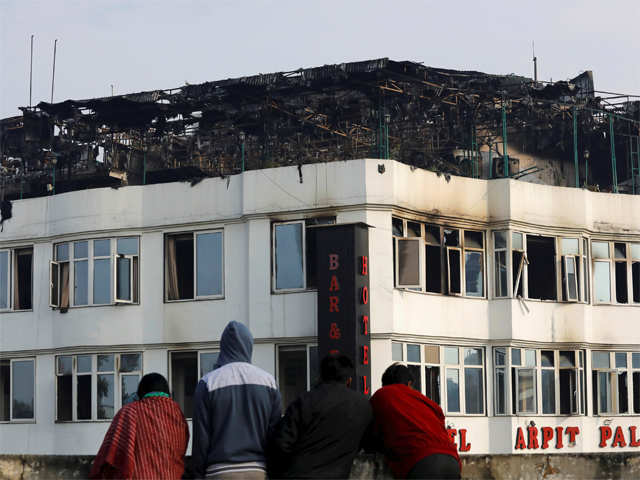 In the early morning of Delhi on February 12, tragedy struck as a massive fire had broken out at the Hotel Arpit Palace in Karol Bagh. This fire claimed at least 17 people and among the dead, a woman and her child were also killed when they tried jumping from a window to escape the blaze. Most of the sixty people were asleep when the fires broke out. According to Delhi Fire services director GC Mishra, the department received a call about the blaze around 4:30 am but unfortunately they received the call late and the ire already spread, delaying the rescue operations. Twenty fire tenders rushed to the spot immediately to try and contain the situation. The cause is still unknown and so the Delhi Government has ordered a probe to look into this incident.